As an Asian-American, my expectations for Jon M. Chu’s new film, “Crazy Rich Asians,” were crazy high, and the movie did not disappoint. The film did a phenomenal job portraying a race not well-represented in the Hollywood industry. 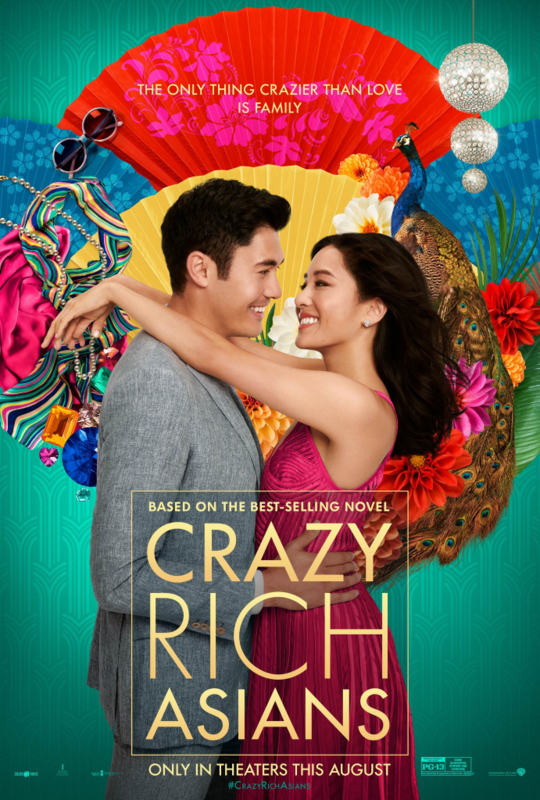 Based on a 2013 novel by Kevin Kwan, this romantic comedy centers around professor Rachel Chu meeting her boyfriend’s family for the first time in Singapore. While she’s there, she realizes that her boyfriend, Nick Young, is extremely wealthy. However, with this wealth there comes a price. Rachel has to learn to deal with Nick’s judgmental mom, jealous ex-girlfriends and the duties that come with being “royalty,” or else their relationship might not last. “Crazy Rich Asians” is the first all-Asian cast movie since 1993 and currently holds a 93 percent rating on Rotten Tomatoes. The film did a great job representing elements of Asian culture, including the family dynamic and the value of food. It broke stereotypes while staying true to Asian culture. The movie opens with a powerful scene depicting racism. As the Young family is trying to check into an upscale hotel, which they will later own, the workers refuse to let them stay because of their race. Instead of walking away and finding another hotel to stay in, the Young family stands its ground. After making a couple phone calls, they are able to stay. The Asian community is stereotypically known as a “model minority,” staying quiet and avoiding conflicts. However, this scene shows Asians fighting back. The Young family knows its worth and fights for its right to stay. This idea of self-worth becomes a major theme throughout the movie. The film also smashed stereotypes about Asian men, such as assumptions that Asian men are unattractive, nerdy and not appealing to women. “Crazy Rich Asians” does not show Asian men as the typical stereotype but instead as the elite characters. There literally was a 30-second scene in which Chu chose to only show Asian men’s abs, and there are many shirtless scenes featuring Nick and his attractive pals. Food is another huge facet of Asian culture that brings friends and family together, and it plays into the film. When Nick and Rachel first arrive in Singapore, for example, their friends immediately take them to eat. The food is the focus of the gathering and brings the characters together. In another scene, Nick and Rachel make dumplings, but this conveys more than just cooking – the act of cooking is a bonding experience with Nick’s mother and grandmother. During the dumpling scene, Nick’s mother, Eleanor, tells Rachel she is not good enough for her son. She tells Rachel she does not have what it takes to be a Young. Eleanor wants a traditional Chinese girl — born and raised in China — for Nick. Afterward, Rachel questions her self-worth, a theme that continues throughout the film. Eventually, she comes to the conclusion that she is worthy. She knows she is good enough for Nick, no matter what Eleanor thinks. A side-plot in the movie involves Nick’s cousin Astrid finding out that her husband is having an affair. Astrid was not perfect in the marriage; she frequently went on extravagant shopping sprees and hid her posh purchases from her husband. However, she never cheated on him. He continuously blames her for the reason he had an affair. She realizes she does not need to coddle someone because they are too insecure about themselves. Astrid finds her self-worth and knows she deserves better. Thank you, Jon M. Chu, for recognizing and believing in this film’s worth and releasing it in theatres rather than taking the large lump sum of money that Netflix offered for it. This film is a must-see. It is fun, vibrant and emotional. 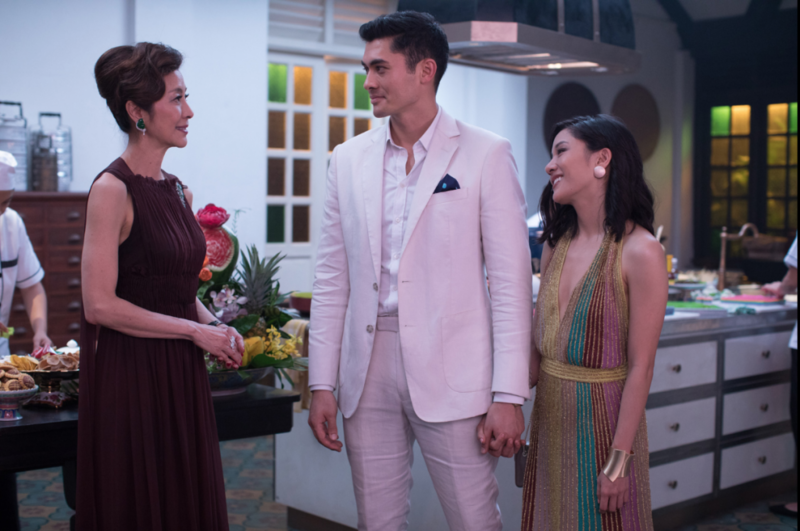 “Crazy Rich Asians” will create a pathway for Asian representation in Hollywood. As an Asian-American, all of my expectations for “Crazy Rich Asians” were more than met.